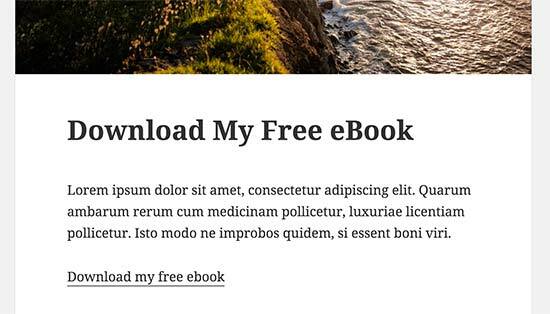 Do you want to add ebook downloads to your WordPress site? WordPress makes it easy for you to upload your ebook files in PDF format and make them available for download. You can also sell ebooks or use them to get more email subscribers. In this article, we will show you how to add ebook downloads in WordPress as well as how to make the most out of your ebooks. 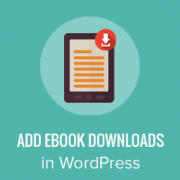 The direct Ebook download method allows you to upload your ebooks and add a link to your WordPress site allowing all users to download them. First you need to edit the post or page where you want to add the ebook download. On the post edit screen, click on the ‘Add Media’ button. This will bring up the WordPress media uploader popup. You need to click on the ‘Select files’ button to upload the ebook file from your computer. Once uploaded, you will be able to see your ebook file selected. If your eBook file is in PDF format, then you will also be able to see a thumbnail preview of the first page of your ebook. On the right hand column, you can provide the title, caption, and description for your ebook. You can also select how you want your ebook to be linked. By default, it will link to the ebook file itself and that’s the option you want. Click on the ‘Insert into post’ button to add ebook download into your post. Directly adding an ebook download to your WordPress posts is easier and will work for most users. However, if you want to use your ebook download to grow your email list, boost conversions, and get more traffic, then try this method instead. For this method, you’ll need OptinMonster. It is a lead generation software created by our founder Syed Balkhi which helps you get more email subscribers. OptinMonster comes with tools to create beautiful forms asking users to perform an action before sending them to the ebook download. This marketing technique is sometimes referred to as content upgrades. Basically you offer free bonus content to your users in return of a small action like signing up for your email list. It’s a win win for both parties. You get a new subscriber, and your users get free ebook download. 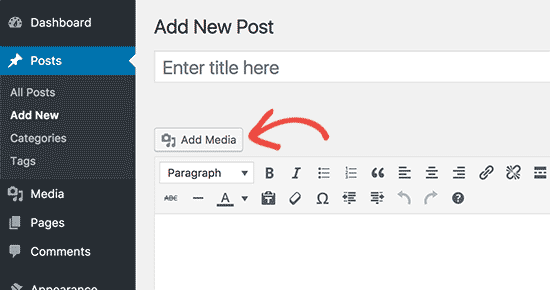 For detailed instructions, see our step by step guide on how to add content upgrades in WordPress. Want to sell ebook downloads on your WordPress site? Selling things online was never this easier. WordPress allows you to create your own online store using WooCommerce. WooCommerce is a powerful and extremely easy to use WordPress eCommerce plugin. You can install it on your existing WordPress site, or create a new online store to sell your ebooks. It can be used to sell both physical goods (things that need shipping) and digital downloads (ebooks, musics, software, etc). It supports most popular payment gateways and requires no technical or programming skills to setup. 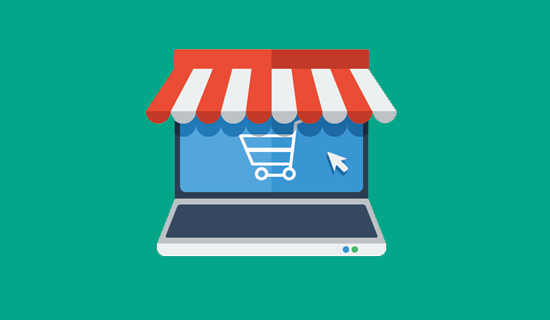 For complete step by step instructions see our guide on how to start an online store. 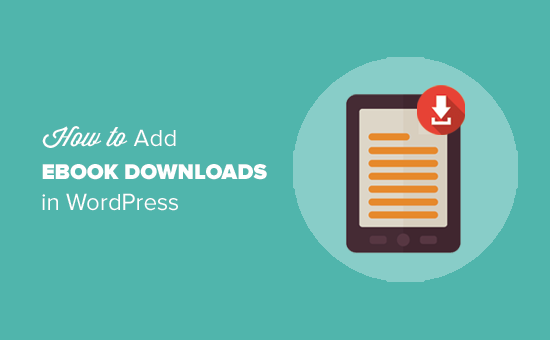 We hope this article helped you learn how to add ebook downloads in WordPress. You may also want to see our list of 9 best PDF plugins for WordPress. Really helpful, and simply stated post! Just what I was looking for. Thanks! WordPress don’t allow .epub or .mobi File is there a plugin or a solution to allow also epub and mobi file and want to be limited with PDF File, tanks in advance. 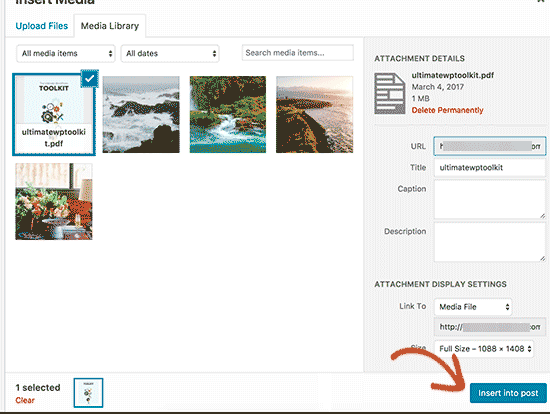 Please see our article on how to allow additional file types to be uploaded in WordPress. We are glad you found it helpful. Don’t forget to follow us on Facebook for more WordPress tips and tutorials. this is a big help to all beginners like me.. Thanks for this wonderful guide. I really found it useful. I want to start selling eBooks directly on my blog instead of send traffic to gumroad or Amazon. I want to add ebooks and this article helps me. Before this I used to add ebooks through Google Drive. One question too – Which is good for SEO? Adding PDFs on host or drive?